CHAPTER SEVEN: ADAM IN THE GARDEN OF EDEN. While we claim to be interpreters of the Scripture and support a literal interpretation of the word directly given by God to Moses, it is surprising that most scholars refuse the idea that there are two creation stories in Genesis. Two different names of God - Elohim and YHVH of Elohim - are clearly mentioned who both created Man. Elohim who is considered as a plurality acting one with the entire sons of God in all dimension created mankind as many people on earth, in male and female form reflecting the image of the plurality within the Elohim. In contrast YHVH of Elohim is a single person who formed Adam out of the earth and gave life through breathing on the form. 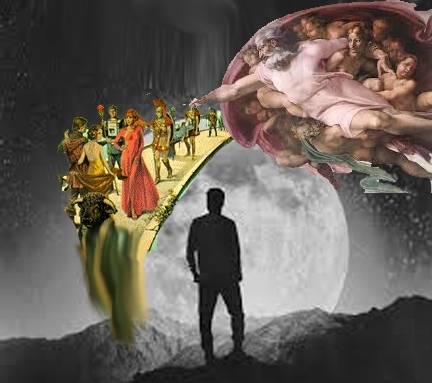 While the first Adam Mankind consisted of many with male and female, the second Adam was neither male or female but one person who was later operated upon by YHVH to separate the Female from Adam to form a pair Adam and Eve. There are numerous other differences. Thus a simple direct textual reading give two creation events. It is difficult to identify them as one event. However for some reason this literal reading is heavily discouraged giving us a 6000 year old earth from Adam and Eve. The problem is that there are real scientific evidences of fossils of humankind dating millions of years or even trillions of years. Yet if it is taken as dual creation and taken at the simple literal meaning as is read, everything will fit together with science and scripture in consonance. God is the author of both the books - scripture that is directly spoken to Moses and nature as we understood when we "till and keep" into the creation. 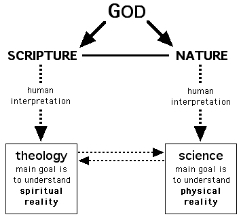 We have developed theology and science to interpret them. If they don’t agree something is wrong with our human interpretation of either or both. Are we misreading any of them? The fear seems to be that any such acceptance may mean an acceptance of evolution of man from the bacteria and plants to monkeys and man. What I try in this study is to look into these realities and explain the scripture as it is read and understood by anyone without any preconceived assumptions. Scripture to me is in perfect consonance with the observed scientific evidence. I present this study for what it is worth for the scientific community within the faith community for a renewed look.